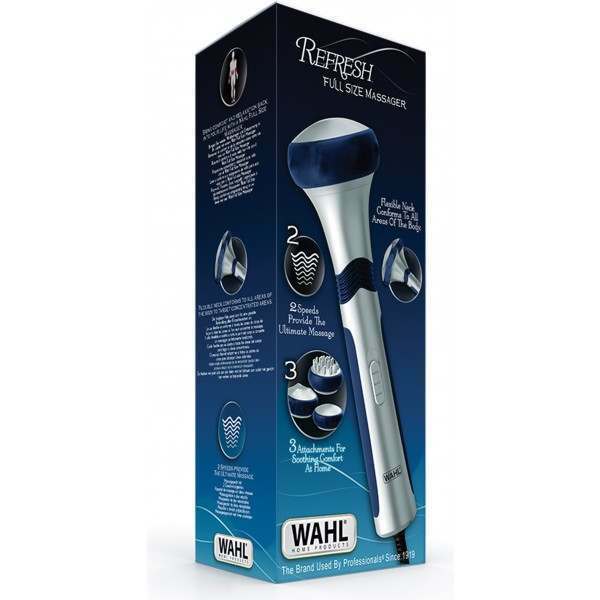 The Wahl Full Size Massager is a heavy duty model designed for a high level of usage and offers the benefit of continuous use from a corded power supply. With two speed settings of low and high this versatile unit can be adjusted to either a soothing, relaxing massage or a deeper, more intense massage. 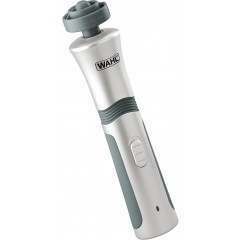 Comes complete with three different massager attachments which are easily interchanged, each designed to deliver a different massage experience. Smooth Massage creates a gentle, relaxing massage for general, all over body use. 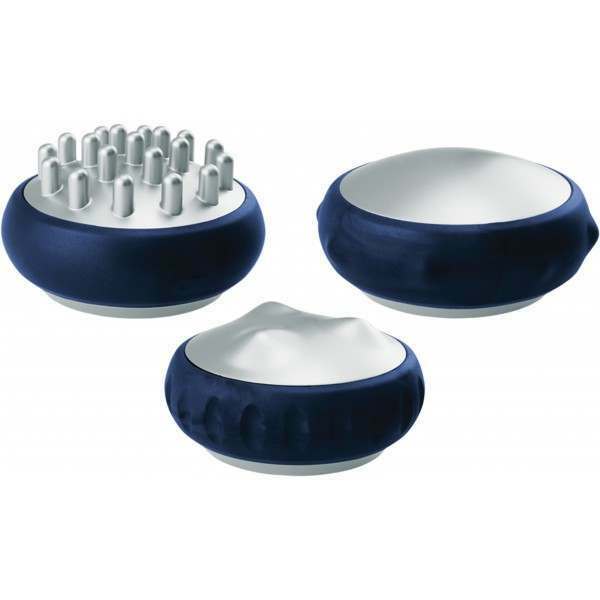 Kneading Massage with larger ridges for a deep but soothing massage. 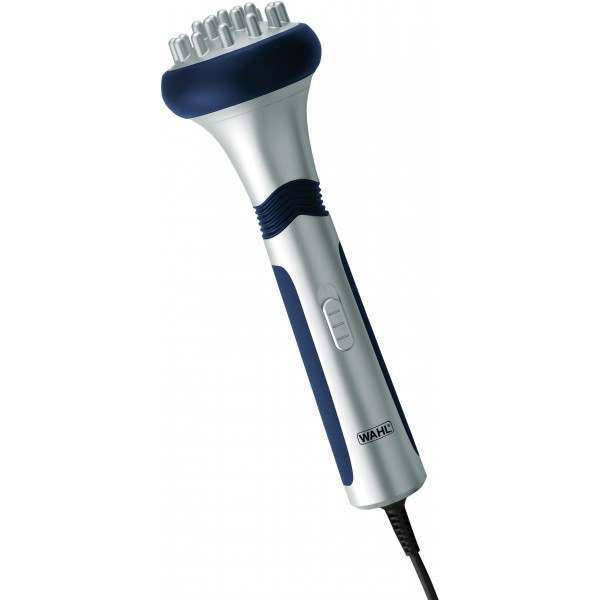 Deep Massage with longer prongs designed to really dig deep into muscles to reach tight knots for a more targeted result. Each attachment also features a rubberised ring surface to the outer edge offering further variation of massage surface and application options.